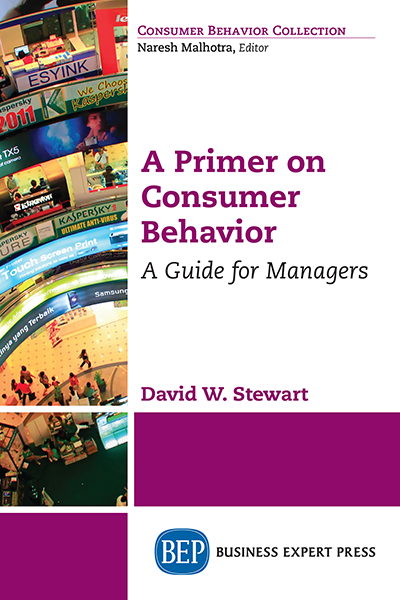 David W. Stewart, PhD, is President’s professor of marketing and business law at Loyola Marymount University, Los Angeles. He has previously held faculty and administrative appointments at Vanderbilt University, the University of Southern California, and the University of California, Riverside. Dr Stewart is a past editor of the Journal of Marketing, the Journal of the Academy of Marketing Science, and the Journal of Public Policy and Marketing. He is founding chair of the Marketing Accountability Standard Board (MASB). He is a past-president of the Academic Council of the American Marketing Association, a past chairman of the Section on Statistics in Marketing of the American Statistical Association, a past president of the Society for Consumer Psychology, and a fellow of both the American Psychological Association and the Association for Psychological Science. A native of Baton Rouge, Louisiana, Professor Stewart received his BA from the Northeast Louisiana University and his MA and PhD in psychology from Baylor University.